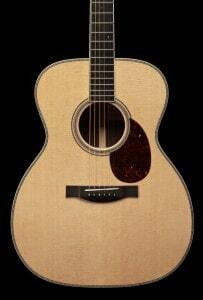 SCGC’s new OM Grand is a bigger, lusher, louder sister to our extremely popular OM Model. The OM Grand embodies the same elegance, only in increased quantity of volume, projection and bass. More isn’t necessarily better, though when you need to be heard over your band mates, the ‘more’ of the OM Grand will secure your rightful dominance. The strength of the OM Grand isn’t limited to sheer volume. In the sometimes restrained presence of solo fingerstyle playing, the inherent power of this guitar will generate a forceful bloom, requiring less effort with no loss of nuance. 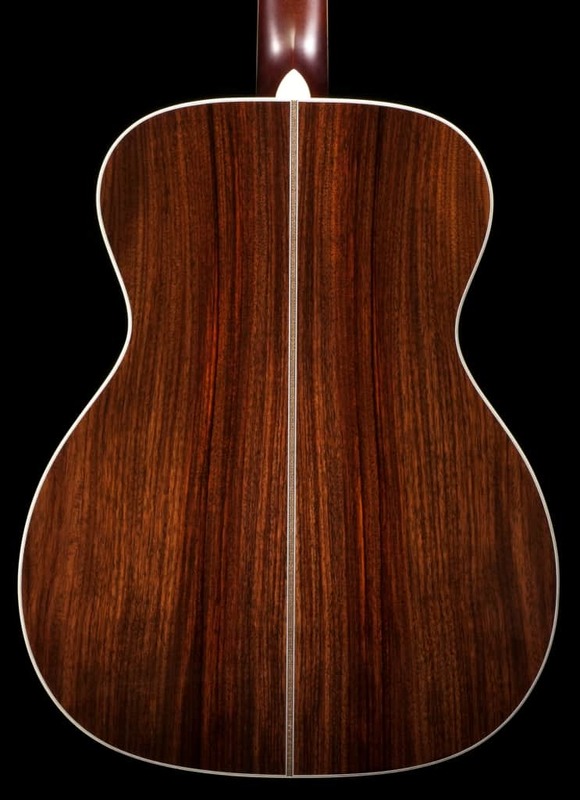 At the 2012 NAMM Show in Anaheim, Santa Cruz Guitar Company’s longtime friend and dealer, Harry Tuft, asked Richard Hoover, SCGC’s founding luthier, about building a special guitar to commemorate the 50th Anniversary of his shop, The Denver Folklore Center. In honor of this prestigious accomplishment, and the historical impact Harry’s shop has had on the folk movement in this country, Richard was thrilled to accept. 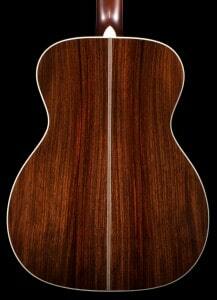 Harry wanted a custom OM guitar with a larger body size for an increase in power in a body shape. Harry further customized his guitar to his playability needs and aesthetic values, including inlays commemorating his milestone 50th anniversary. In preparing the templates for this new body size, Richard saw this enhanced sized OM as a fine addition to the stellar line-up of SCGC standard models, and the concept of the OM Grand was born. We will have videos and demos of this new model available on the website soon, and many are on order and in production. Please contact your local dealer to see about getting one in your town, or customizing one with your playability and aesthetic preferences. 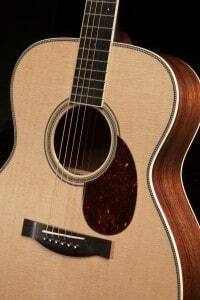 Acoustic Guitar Magazine is hosting a contest to giveaway one of the new OM Grand Models. Contest details and entry form can be found here: http://www.acguitar.com/leveltwo/santacruzgiveaway.aspx.